Every book has a reader, and for every person (whether a reader on not) I'm sure there's a book out there just right for them. 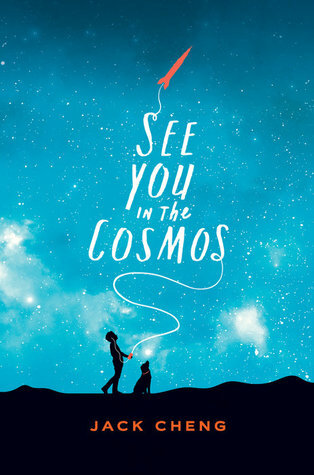 This is a book I'd love to work with science teachers on - with all its rockets and space passion, it would be amazing to work in schools with science teachers building rockets to see if the kids could launch this book (or their own stories, or their own recordings) into space - a little bit like kids did for this book: https://www.youtube.com/watch?v=1GLPR... What a way to get everyone excited about reading, hey? Perhaps it's one to use in schools when Tim Peake goes back to the space station? I do think lots could be done with it that kids would find enormously exciting and engaging. With plenty of space jokes to keep you giggling this is well written, in a technical sense. The story is intriguing, the fantasy that a child might just set off from home by himself and travel across the country is exciting, and the wonder of space is always... well, full of wonder, but I didn't find the voice of the child completely authentic, at times too naive, and at other times way too phlegmatic. The exploration of issues around being a child carer didn't quite work for me either - again, there was a cool disconnect that didn't seem quite real. The book is full of kindness and hope, and has received rave reviews in the US. Read as escapist fantasy, or used to inspire a bit of scientific play it could work really well, but it just didn't grab my heart in the way some books it has been compared to.